Not only do such readings confuse listeners, who may not be privileged to understand Zambian old way of time reading, it is actually wrong. 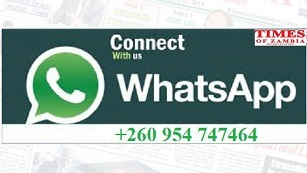 Zambia’s time reading has over the years changed from something like ‘two o’clock in the morning to 02:00 hours, two o’clock in the afternoon to 14:00 hours’ and later from quarter, half past to the present readings. In the 24-hour time notation which we follow, the day begins at midnight, 00:00, and the last minute of the day begins at 23:59. Where convenient, the notation 24:00 may also be used to refer to midnight at the end of a given date that is, 24:00 of one day is the same time as 00:00 of the following day. This system is the most commonly used time notation in the world today, and is used by international standard. While it may sound fashionable among some presenters, radio, being a reliable medium of learning, need to be accurate and precise in educating its listeners. What was interesting about Lameck’s presentation was the systematic music selection which was of similar tempo and genre, both local and international. To confirm that he knew what he was up to, Lameck stuck to his music, refusing to play anything outside his play list, even after numerous requests from listeners. Lameck could be likened to sports presenters like Matimba Nkonje who is just as good as deejaying like his with sports. Late Isaac Mulinda was that kind. When ‘The Floor took control on Four’ last Thursday night, it was Glorious Band with Ukwangala twangala, followed by Serenje Kalindula band with Abakali bakali, then Mashabe Band with LIya, Kamalule and later Brian Chilala’s Nsanje. Those who have heard DJ Easy T on Sun FM radio in Ndola would attest to his proficiency on air, he has what it takes for a good deejay. His appearance last Sunday afternoon when he played music from the old school was just as impressive as ever. Easy T has a perfect voice for radio that blends well in any genre of music he plays. The Tune Fixer Ian Mpundu Mwansa, was at it again last week playing what he has now come to master; “Classics tunes,” he however, spoilt it when he sang along to ‘The Who song, ‘substitute’. I was reading your article ‘Should Witchdoctors Advertise on Radio?’ in the Sunday Times of June 19, 2016. I wish to make comment that those advertising for cure of illnesses are not witchdoctors but herbalists. They even have an association led by Dr Vongo. The concept for us Christians is that anything that is traditional is regarded as evil. We know Christianity was brought by whites and whatever they found blacks practicing was evil, which is not correct. The herbalists give medicine for patients to be healed, not to find one who bewitched who. So sir, draw a line between witchdoctor and herbalist. Response: “Thank you very for finding time to read this column. If you noticed last week’s column was about WITCHDOCTORS, the group of people you talked about are HERBALISTS. There is nothing wrong with the later as their healing is actually biblical. Concern is with witchdoctors who claim to have charms they claim can make someone rich, lucky, bring back lost lovers and other provisions only God has authority over. 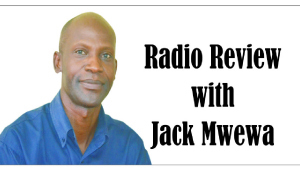 M r Siwale from Chingola wrote to comment on Traffic watch: “Dear Jack, Comment on your Radio Review article Sunday June 19, 2016. I liked the report of a couple that was seen kissing while driving! We need to see a lot of this everywhere! The more couples can express their love for each other publicly, the more the families stay together and the less the promiscuity! Hence, the happier the families are, the stronger the nation will become!! Keep it up with your articles! God bless you and your family!!! Dear Jack, Any comment on presenters or adverts that say Zesco power has gone or come instead of power failure or restored. Learner,Kitwe. Response: “Dear Learner, You are right, it is supposed to be POWER FAILURE, POWER RESTORED. Some of our radio presenters are ‘breaking the language’ without shame.